Let me tell you about something that will help you with that chocolate stain. 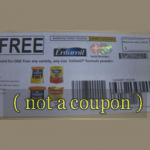 This coupon is for Clorox Bleach Buy 2 Get 1 Free. When you buy two Clorox Stain Fighter with color booster, either 33 oz., 45 oz., or 66 oz. 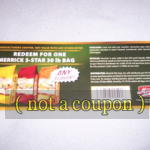 and get a FREE 96 oz, Clorox Bleach. Wow. That is a maximum value of $2.49. 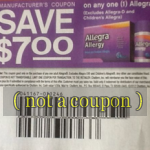 I couldn’t believe my eyes when I saw this coupon. 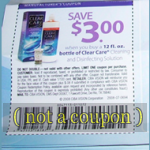 It looks like the coupon is good in most grocery and department stores that sell Clorox anywhere is the United States. We go though a fair bit of bleach with three boys always finding something to fix, or play or get into. You know what I mean. If they aren’t covered in grease and grim from fixing their bikes they are covered in grass and dirt from playing football, baseball and soccer. I just can’t keep up. Of course they insist on wearing white tees and white socks all the time. 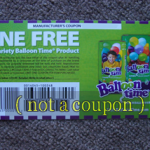 This coupon is a real booster if you get my drift. Now the clothes get cleaned and not my wallet getting cleaned out. I am so glad I came across this one. Adding a little boost to the laundry wash cycle puts my mind at rest because I know the clothes will come out as white as they can. In fact one time my son said to me he didn’t know he had a new T-shirt in his drawer. Here is was just an old one I was able to get white again. And the color booster does wonders on bright colors of all kinds. Buying two and getting one free is a great way to save money. 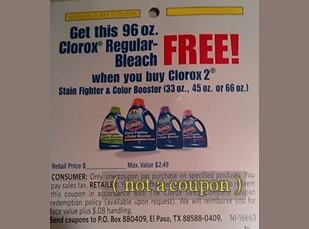 Look for your Clorox Bleach buy 2 get 1 free coupon before they disappear!